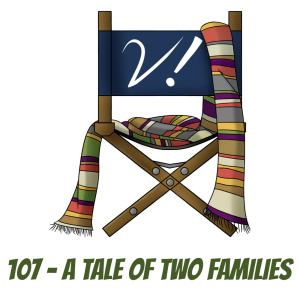 The first year of new-Who continues with its first two-parter. Join Deb, Erika, Lynne, and Tansy as we delve deep (I mean DEEP) into the relationships and characterizations and implications in “Aliens of London” and “World War Three”. Yes, we touch on the farting aliens, but there’s so much more in this story. It’s a bit of an anchor point for the arcs of several of our characters, and we tug hard on that anchor. In addition, we talk about the importance of libraries (Happy National Library Week! ), the Doctor as a soldier, and someone utters the phrase “barfing emotions”. It’s quite a ride.